Patti's commitment to service comes from her many years as an International Flight Attendant with American Airlines. Patti's creativity and innovation comes from her experience as an Advertising manager and Creative Director in San Francisco. In addition to her life experiences, Patti believes in continuing education and currently holds Broker Associate, ABR (Accredited Buyer Representation) and GRI (Graduate Realtor Institute) designations and CRS (Certified Residential Specialist). Patti and her family chose to move to Raleigh in 1989 from San Francisco. This move and many others provides her with a great deal of empathy towards the families she assists. 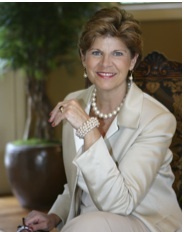 Patti is very involved in the Triangle Community and has served on many boards. She's currently involved with the Junior Leagues of Raleigh and a member of the Summit Church. If you are buying or selling property in the Triangle area, give Patti a call and have her begin to work for you. Marketing Instructor, New Agent training. Affiliates; Jr. League of Raleigh, Toastmasters International, Habitat for Humanity, Crossroads of Fellowship. Contact me for my Preferred Custom Builders List. Working in the Custom Home Market since 1998.